 Since 1991, Vanguard have been at the forefront of safety in New Zealand.We continue to stand between people and risk in commercial, construction, retail, civil and roading. Whether it’s protected walk areas in warehouses or speed bumps in motel driveways – we’ll be there because our job is to safeguard everyone. That means a continuous commitment to improvement and innovation. Which we’ve done since day one when the McLean family started supplying line marking paint to schools and factories. Read more. Safety is bigger than all of us. And sometimes it takes a little nudge to get started. That’s why Vanguard offers a free half-hour consultation with one of our experts to set you on the right path. It’ll help you prioritise and work out where your site safety management should be headed. At Vanguard we provide quality products, and services, that stand between people and harm. The Vanguard range covers everything that stands between people and harm. 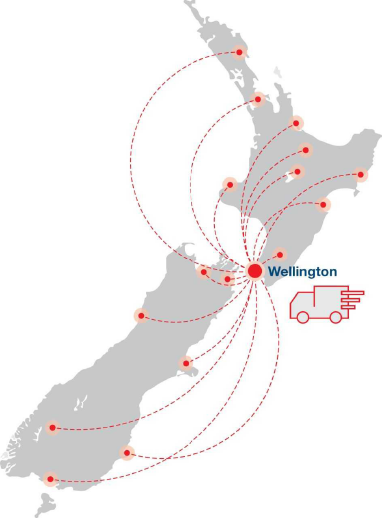 We hold large quantities of stock in our centrally located warehouse in the Wellington region and dispatch NZ-wide via New Zealand Couriers and Mainfreight. Our team is happy to provide advice on installation if required. Vanguard has the experience, the product range, the service and culture to keep your people safe – so let’s talk, 0800 500 147. 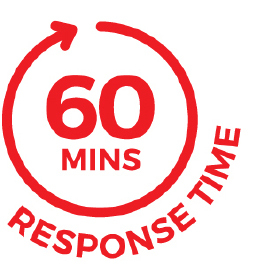 When you contact us, we’ll respond in person within 60 minutes. Guaranteed. Not everyone can do that. But we can. And we will. If our recommended solution doesn‘t work then we will fix it at our cost.